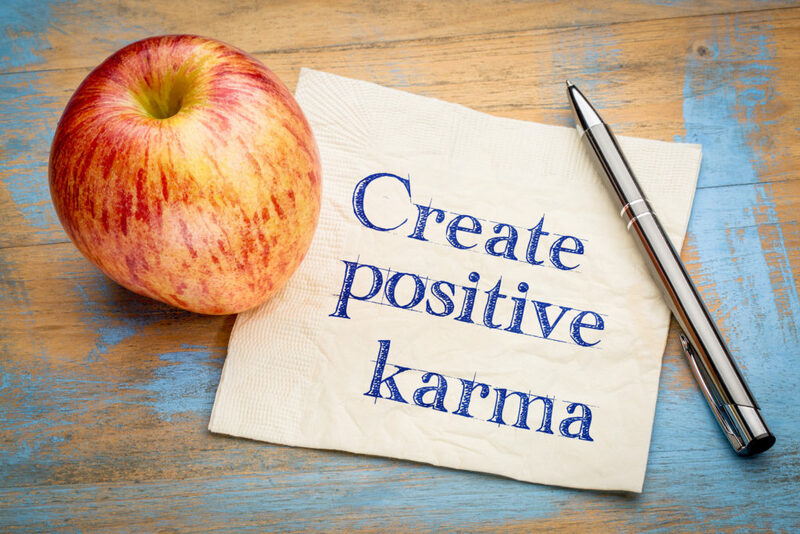 So I’m here to share with you some easy ways that I like to create good karma and things that I genuinely do practice on a daily basis! Throw kindness around like confetti, even to yourself. Think positively, even when it’s hard to. Slow down to appreciate what is around me. Give compliments you actually mean. Wish people a lovely day. Offer and give genuine advice. Stay true to yourself, and just be you! One of my favorite quotes regarding karma: “How you treat me is your karma; how I react is mine.” Be happy, and strive for good karma!